These tasty bites made of turkey, dressing, gravy and apples are reminiscent of Thanksgiving dinner. They are easy to pick up and devour! 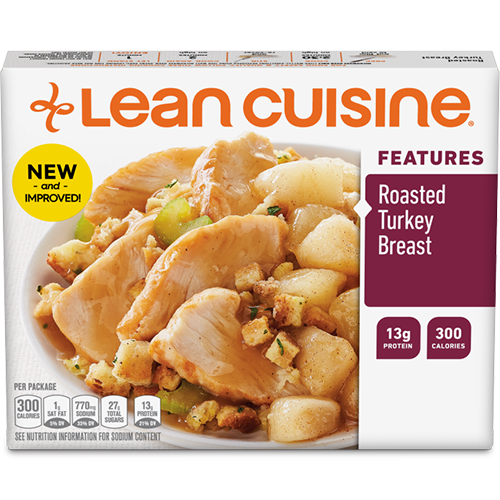 HEAT LEAN CUISINE® Roasted Turkey Breast according to package instructions. CUT pie crust into 6 – 3inch round pieces. PLACE the pie crust circles into the prepared muffin tin. LAYER the LEAN CUISINE® Roasted Turkey Breast into pie crust circles. First layer should be turkey, followed by stuffing and gravy, and finished with the cinnamon apples.